Replete is one of these places that seem perpetually packed out. As we left the market before 9am we decided to fly past and chance our luck at getting a table. Even at this early hour we luckily got one of the last tables. I say lucky for as we sat sipping on our first latté the heavens suddenly erupted - I don't think I would have liked being in the market now. 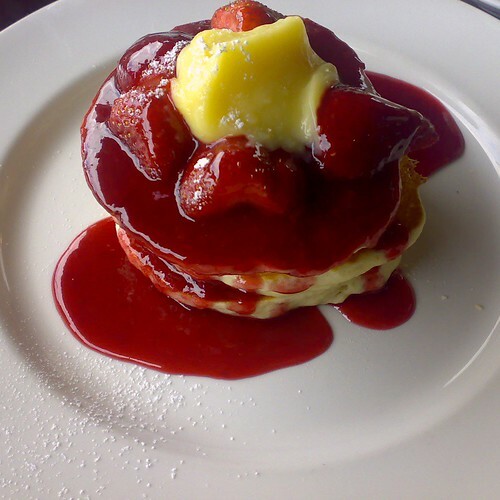 A wonderfully fluffy stack of three pancakes. 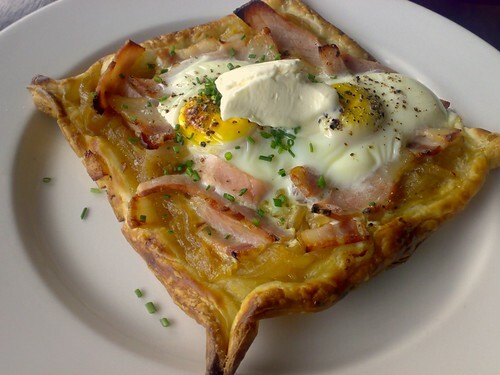 Special Tart - Puff pastry base with sautéed onions and bacon with thyme - topped with two eggs and crème fraîche. I can see myself ripping this off!